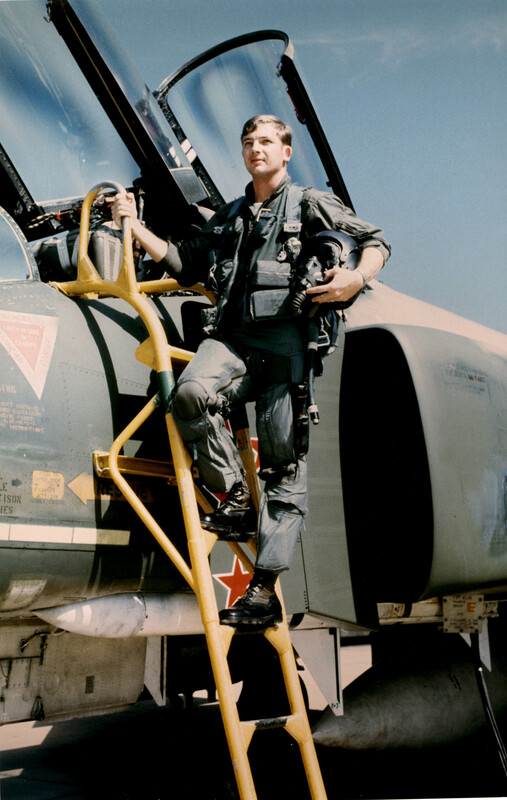 9 September 1972: Captain Charles Barbin DeBellevue, United States Air Force, a Weapons System Officer flying on F-4D and F-4E Phantom II fighters, became the high-scoring American Ace of the Vietnam War when he and his pilot, Captain John A. Madden, Jr., shot down two Mikoyan-Gurevich MiG 19¹ fighters of the Không Quân Nhân Dân Việt Nam (Vietnam People’s Air Force), west of Hanoi. Captain DeBellevue was assigned to the 555th Tactical Fighter Squadron, 432nd Tactical Reconnaissance Wing, at Udorn Royal Thai Air Force Base. With Captain Richard S. Ritchie, he had previously shot down four MiG 21 fighters using AIM-7 Sparrow radar-guided missiles. Then while flying a combat air patrol in support of Operation Linebacker, he and Captain Madden, aboard F-4D-29-MC Phantom II 66-0267, call sign OLDS 01, used two AIM-9 Sidewinder heat-seeking missiles to destroy the MiG 19s. These were Madden’s first two aerial victories, but for DeBellevue, they were number 5 and 6. We acquired the MiGs on radar and positioned as we picked them up visually. 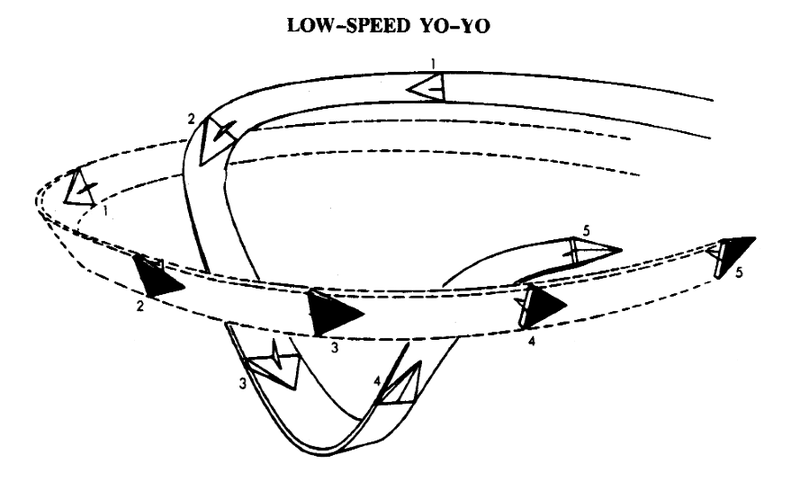 We used a slicing low-speed yo-yo to position behind the MiG-19s and started turning hard with them. We fired one AIM-9 missile, which detonated 25 feet from one of the MiG-19s. We then switched the attack to the other MiG-19 and one turn later we fired an AIM-9 at him. I observed the missile impact the tail of the MiG. The MiG continued normally for the next few seconds, then began a slow roll and spiraled downward, impacting the ground with a large fireball. Our altitude was approximately 1,500 feet at the moment of the MiG’s impact. — Aces and Aerial Victories: The United States Air Force in Southeast Asia 1965–1973, by R. Frank Futrell, William H. Greenhalgh, Carl Grubb, Gerard E. Hasselwander, Robert F. Jakob and Charles A. Ravenstein, Office of Air Force History, Headquarters USAF, 1976, Chapter III at Pages 104–105. The first MiG-19, damaged by the Sidewinder’s close detonation, crashed on the runway at Phuc Yen. After becoming the war’s highest-scoring American ace, Chuck DeBellevue was sent to Williams Air Force Base, Arizona, for pilot training. He became an aircraft commander of F-4E Phantom IIs. He retired from the Air Force as a colonel in 1998, after 30 years of service. DeBellevue’s F-4D, 66-0267, was destroyed by Hurricane Andrew in 1992. 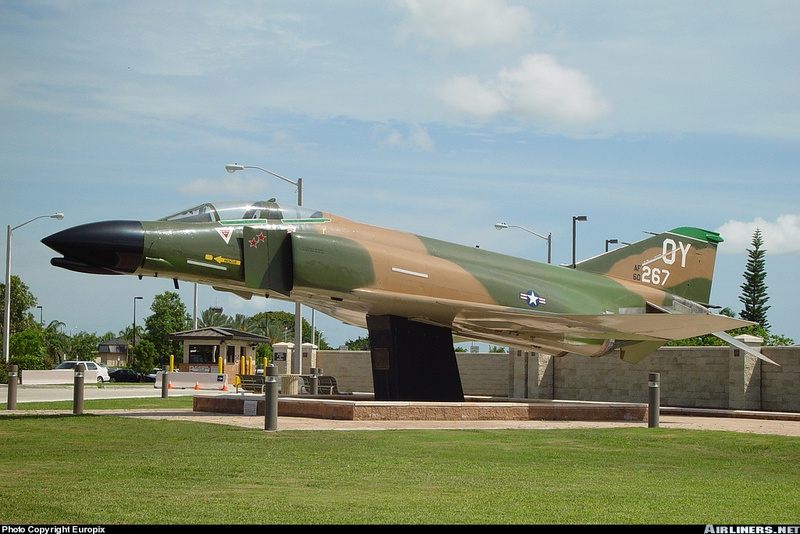 It was reassembled with parts from other damaged Phantoms and is on display as a “gate guard” at Homestead Air Force Base, Florida. F-4D-29-MC 66-7463, in which he scored his first and fourth kills with Steve Ritchie, is on display at the United States Air Force Academy. Like DeBellevue, this airplane is also credited with 6 victories. DeBellevue’s F-4E-36-MC, 67-0362, in which he and Ritchie shot down their second and third MiG 21s, was sold to Israel in 1973. 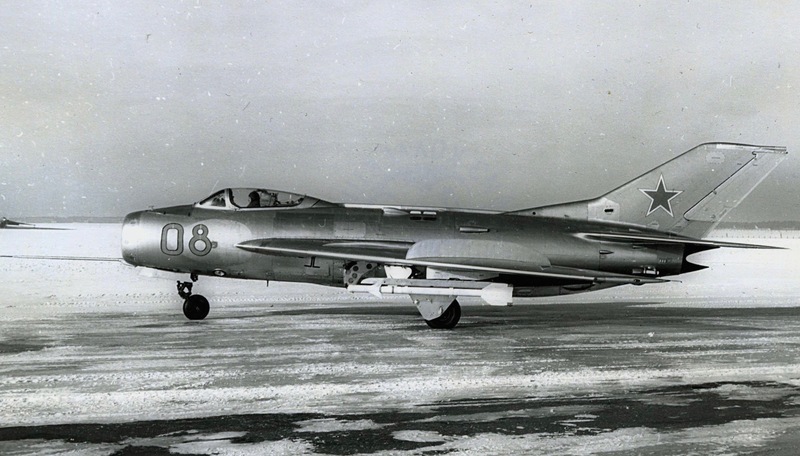 ¹ Many VPAF MiG 19s were the Chinese-built Shenyang J-6 variant. 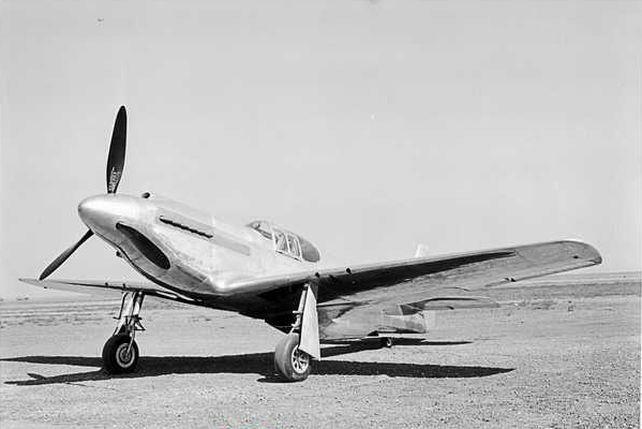 9 September 1940: North American Aviation completed assembly of the NA-73X, the first prototype of the new Mustang Mk.I fighter for the Royal Air Force. This was just 117 days after the British Purchasing Commission had authorized the construction of the prototype. 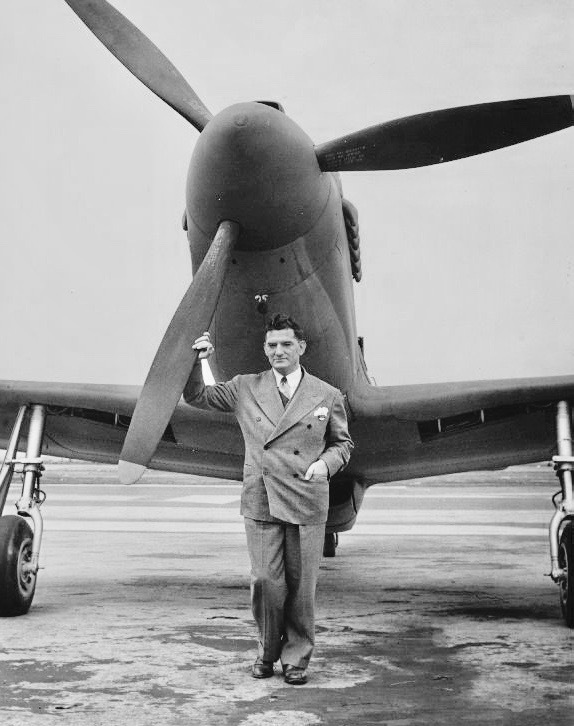 The airplane was designed by a team led by Edgar Schmued. The 1,150-horsepower Allison V-12 engine had not yet arrived, so the NA-73X was photographed with dummy exhaust stacks. The prototype’s company serial number was 73-3097. It had been assigned a civil experimental registration number, NX19998. The NA-73X was a single-seat, single-engine, low wing monoplane with retractable landing gear. It was primarily of metal construction, though the flight control surfaces were fabric covered. The airplane was designed for the maximum reduction in aerodynamic drag. The Mustang was the first airplane to use a laminar-flow wing. The fuselage panels were precisely designed and very smooth. Flush riveting was used. The coolant radiator with its intake and exhaust ducts was located behind and below the cockpit. As cooling air passed through the radiator it was heated and expanded, so that as it exited, it actually produced some thrust. The prototype was 32 feet, 2⅝ inches (9.820 meters) long, with a wing span of 37 feet, 5/16 inch (11.286 meters). Empty weight of the NA-73X was 6,278 pounds (2,848 kilograms) and normal takeoff weight was 7,965 pounds (3,613 kilograms). The NA-73X was powered by a liquid-cooled, supercharged, 1,710.60-cubic-inch-displacement (28.032 liter) Allison Engineering Company V-1710-F3R (V-1710-39) single overhead cam 60° V-12 engine, with four valves per cylinder and a compression ratio of 6.65:1. It used a single-stage, single-speed supercharger. This was a right-hand tractor engine (the V-1710 was built in both right-hand and left-hand configurations) which drove a 10 foot, 6 inch (3.200 meter) diameter, three-bladed, Curtiss Electric constant-speed propeller through a 2.00:1 gear reduction. The V-1710-39 had a Normal Power rating of 880 horsepower at 2,600 r.p.m. at Sea Level; Take Off Power rating of 1,150 horsepower at 3,000 r.p.m. at Sea Level, with 44.5 inches of manifold pressure (1.51 Bar), 5 minute limit; and a War Emergency Power rating of 1,490 horsepower at 3,000 r.p.m., with 56 inches of manifold pressure (1.90 Bar). The V-1710-F3R was 7 feet, 4.38 inches (2.245 meters) long, 3 feet, 0.64 inches (0.931 meters) high, and 2 feet, 5.29 inches (0.744 meters) wide. It had a dry weight of 1,310 pounds (594 kilograms). U.S. Army Air Corps flight tests of the fully-armed production Mustang Mk.I (XP-51 41-038), equipped with the V-1710-39 and a 10 foot, 9-inch (3.277 meters) diameter Curtiss Electric propeller, resulted in a maximum speed of 382.0 miles per hour (614.8 kilometers per hour) at 13,000 feet (3,962 meters). The service ceiling was 30,800 feet (9,388 meters) and the absolute ceiling was 31,900 feet (9,723 meters). The Curtiss P-40D Warhawk used the same Allison V-1710-39 engine as the XP-51, as well as a three-bladed Curtiss Electric propeller. 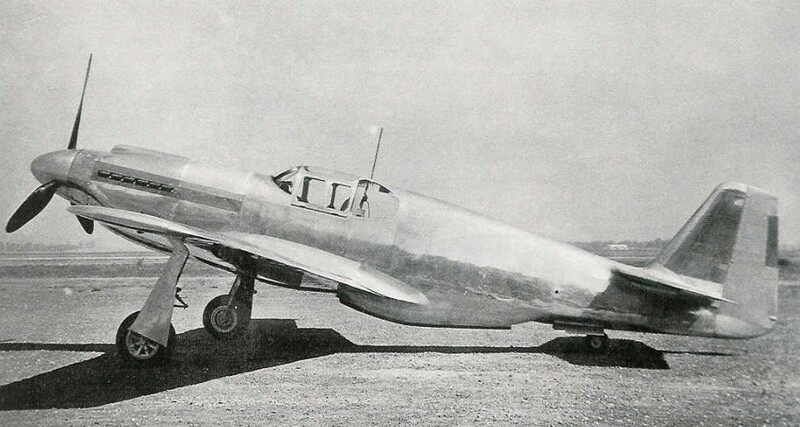 During performance testing at Wright Field, a P-40D, Air Corps serial number 40-362, weighing 7,740 pounds (3,511 kilograms), reached a maximum speed of 354 miles per hour (570 kilometers per hour) at 15,175 feet (4,625 meters). Although the Mustang’s test weight was 194 pounds (88 kilograms) heavier, at 7,934 pounds (3,599 kilograms), the Mustang was 28 miles per hour (45 kilometers per hour) faster than the Warhawk. This demonstrates the effectiveness of the Mustang’s exceptionally clean design. Only one NA-73X was built. It made its first flight 26 October 1940 with test pilot Vance Breese. The prototype suffered significant damage when it overturned during a forced landing, 20 November 1941. NX19998 was repaired and flight testing resumed. The prototype’s final disposition is not known. Originally ordered by Great Britain, the Mustang became the legendary U.S. Army Air Corps P-51 Mustang. A total of 15,486 Mustangs were built by North American Aviation at Inglewood, California and Dallas, Texas. Another 200 were built in Australia by the Commonwealth Aircraft Corporation. The P-51 remained in service with the U.S. Air Force until 27 January 1957 when the last one, F-51D-30-NA 44-74936, was retired from the 167th Fighter Squadron, West Virginia Air National Guard. It was then transferred to the National Museum of the United States Air Force at Wright-Patterson Air Force Base, where it is on display. 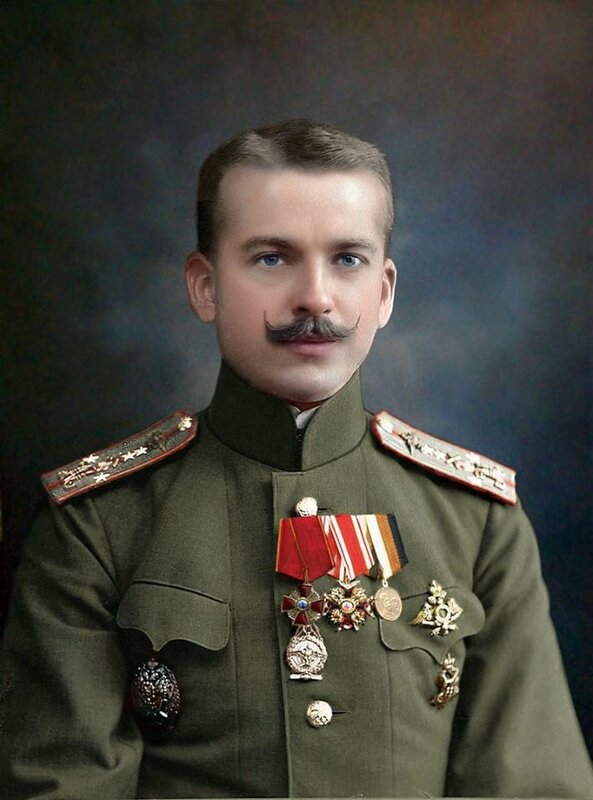 9 September 1913 (27 August 1913, Old Style¹): At the Syretsky military airfield west of Kiev, Ukraine, Imperial Russia, Пётр Николаевич Нестеров (Pyotr Nikolayevich Nesterov), a military officer, flew a Nieuport IV.G into an inside loop, the first time this aerobatic maneuver had ever been performed. 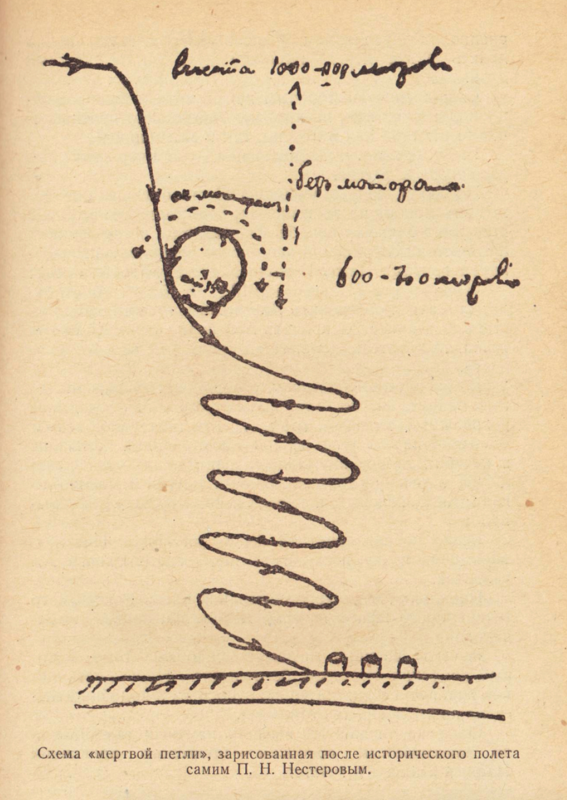 Also known as “Nesterov’s Loop,” or a “dead loop,” the inside loop was completed by entering from a dive, pulling the nose up and flying in a closed curve in the vertical plane (with the top of the airplane toward the center of the loop at all times), and then returning to a dive. This maneuver is now performed beginning and ending in straight and level flight, but airplanes of the time had insufficient power. The airplane flown by Lieutenant Nesterov was a Nieuport IV, designed by the French aircraft company, Société Anonyme des Éstablissements Nieuport, and built in Russia by several manufacturers. The variant flown by the Imperial Russian Air Service was powered by an air-cooled, normally-aspirated, 10.292 liter (628.048 cubic inch displacement Société des Moteurs Gnome Gamma seven-cylinder rotary engine, which produced 70 horsepower at 1,200 r.p.m. P.N. 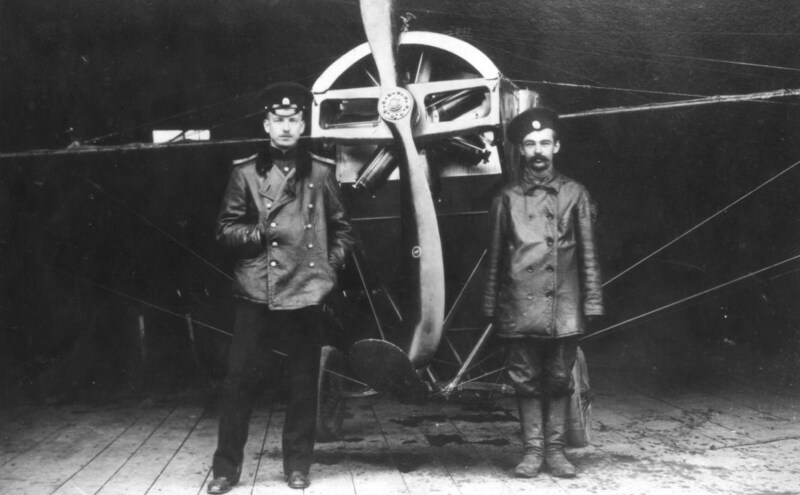 Nesterov with the Nieuport IV in which he performed an inside loop. One year later, 8 September 1914 (25 August 1914, Old Style), Nesterov became the first pilot to destroy an enemy aircraft in aerial combat. Flying a Morane Saulnier Type G near Zhovkva, Ukraine, Nesterov rammed an Albatros B.II. Both aircraft were so badly damaged that they crashed. The Austrian pilot, Franz Malina, and observer, Baron Friederich von Rosenthal, were both killed. Nesterov died of injuries the following day. 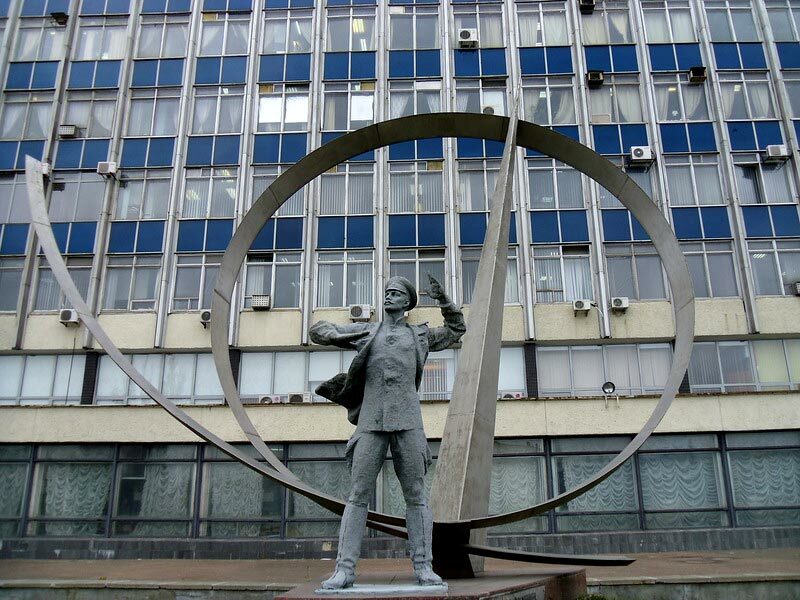 ¹ Imperial Russia used the Julian Calendar until the October Revolution when the Gregorian calendar was adopted.